Where your family will be treated like ours. At Family First Restoration, we pride ourselves on customer service. You, the customer, ALWAYS comes first. Our business exists to help people recover from a disaster. We believe in taking care of our customers with the same care and consideration that we would treat our family with. 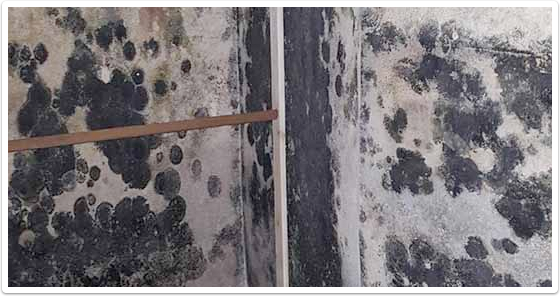 Whether its Mold Removal, Foundation Repair, Water and Flood Repair, Fire Damage Repair or some of our other specialties, we want to help remedy the situation in your home and put your minds at ease. After a fire or flood, you can't afford to wait. Reduce the damage to your home or business and call us immediately. Our technicians will be onsite within 60 minutes to provide professional support and services after a disaster. Disaster can strike at anytime, day or night. That's why at Family First Restoration we offer 24/7 emergency service. Our technicians are prompt, professional, and certified to handle any type of damage to your home or business. You have enough to worry about after a disaster. We accept all insurance companies including State Farm, Travelers, Nationwide, Allstate, and Farmers'. Plus, we offer free direct insurance billing, which means no out of pocket costs (in most cases). I just wanted to thank Family First for helping us out in the time of need. The owner showed up to walk us thru the damage to the home that was so extensive we didn't now where to begin. The same day he had 2 crews show up at 6pm at night. Robert and Milos were very helpful and sensitive to my wife's concerns and fears. After 2 days of Mold clean up we were able to come back home and see our house. It was clean and spotless. Beds made and cleaned, property boxed and sealed, Kitchen washed. I can go on and on. I just want to thank the team and staff for making this disaster as easy as possible and treating our home so well. I definitely would recommend them to anyone. Family First is so kind. My moms house was destroyed by a pipe burst. 2 days later we came home and found it. The Owner came out and saw the damage and made a call. 30 minutes later a crew showed up to help out. 3 hours later I noticed the Owner was down there working also. Couldn't believe it. He called his plumbers to fix to the 3 broken pipes and then they dried the home. The following week his crews put our home back together in less that 2 weeks without stopping, very impressed. He showed up every day to check on us and see if we needed anything. In the end a disaster was made easy. Thank you so much Family First and Martin Russo for helping us!! Our house caught on fire at 2 am. Family first was there at 3 am working with the fire dept. I was so greatful how they did everything to save our stuff, pictures and memories. I want to say thank you to the 4 crews that stayed for 27 hours straight, cleaning up our home and endless trips pacing our stuff and saving everything they could, even calling a content restoration service for our antique furniture. They put our home back together in 3 months but it was like it never happened. Im glad there are companies out there like you guys!! Very Blessed to meet you. Call Family First Restoration today! When your home or business has been damaged by fire, water, or mold, call Family First Restoration. We are experts in water damage repair, mold removal, sewage clean up, and fire damage restoration. We service Chicago and the surrounding suburbs. Including but not limited to: Northbrook, Joliet, Naperville, Arlington Heights, Bolingbrook, Cicero, Des Plaines, Schaumburg and more.